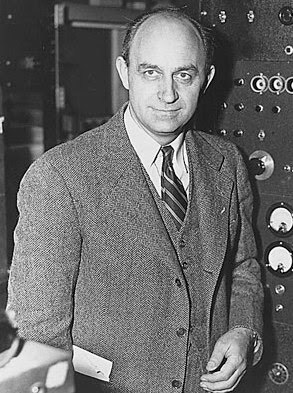 Enrico Fermi was a famous Italian physicist particularly known for his work on the development of the first nuclear reactor, Chicago Pile-1, and for his contributions to the development of quantum theory, nuclear and particle physics, and statistical mechanics. He was awarded with Nobel Prize in 1938 for "his discovery of new radioactive elements produced by neutron irradiation, and for the discovery of nuclear reactions brought about by slow neutrons." 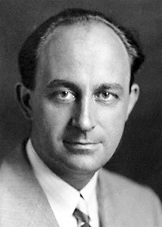 Enrico Alberto Fermi was born in Rome, the capital of Italy, on September 29, 1901. His father, Alberto Fermi had no formal education, but with sheer hard work and sincerity he had reached the post of a regional head of the railroad. Enrico’s mother was a primary school teacher. Enrico was the youngest child among three Fermi children born in three consecutive years. He was an energetic and imaginative student prodigy in high school and decided to become a physicist. His mother did not keep well at the time of his birth. So, he was sent to the countryside. He returned after three years to meet his elder brother and they got along very well. They made many toys, including various models of airplanes and battery driven cars. When Enrico was 14, his elder brother met an untimely death. This incident saddened him. It was a shock to his mother, who could not bear this loss. Shy and reserved, Enrico could not imagine a life without his elder brother. However, his elder brother’s classmate Enrico Persico came in to fill the void. Not only their names, they also shared interests and views. They started working together on various experiments. Together they developed the theory of gyroscope based on the lines of force of the earth’s magnetic field. In 1918, at the age of 17, he entered the college, which is associated with the University of Pisa. He wrote a detailed essay on vibrating fibers which earned him a scholarship. Now, he could easily provide for his education. There, he earned his doctorate at the age of 21 with a thesis on research on X-rays. After a short visit in Rome, Fermi left for Germany with a fellowship from the Italian Ministry of Public Instruction to study at the whose contributions to quantum mechanics were part of the knowledge prerequisite to Fermi’s later work. In 1926, his paper on the behavior of a perfect, hypothetical gas impressed the physics department of the University of Rome, which invited him to join as a professor of theoretical physics. Within a short time, Fermi brought together a new group of physicists, all of them in their early 20s. In 1926, he developed a statistical method for predicting the characteristics of electrons according to Pauli’s exclusion principle, which suggests that there cannot be more than one subatomic particle that can be described in the same way. The particles which follow Fermi Statistics are called fermions. Protons, electrons and neutrons are fermions. Here, he met a Jewish student who later became his life-partner. He married Laura Capone in 1928 by whom he had two children, Nella in 1931 and Giulio in 1936. His research work had geared up. More than 30 of his research papers in various fields were published by 1927. Impressed with his work, the Royal Academy of Itlay in 1929, made him the youngest member of the academy. The Italian government conferred on him the title of ‘His Execellency’ and gave him a special dress reserved for the lords, good income and a sword to carry at royal functions. His theoretical work at the University of Rome was of vital importance, but fresh discoveries prompted Fermi to turn to experimental physics. In 1932, the existence of neutron, a neutral particle was discovered by Sir James Chadwick at Cambridge University. The nucleus of an atom consists of protons and neutrons. In 1933, Fermi put forward the theory of beta decay in which a neutron becomes a proton by emitting an electron and antineutrino. In 1934, Frederic and Irene Joliot-Curie in France were the first to produce artificial radioactivity by bombarding elements with alpha particles, which are emitted as positively charged helium nuclei from polonium. Inspired by this work, Fermi thought of an idea of inducing artificial radioactivity by another method using neutrons obtained from radioactivity beryllium, but reducing their speed. Passing them through paraffin, he found the slow neutrons were especially effective in producing radioactive isotopes. He used this method successfully on a series of elements. When he used uranium (atomic number 92) as the target of neutron bombardment, however, he obtained radioactive substances that could not be identified. Before this, the Fermis went on a lecture tour round the world. They went to Michigan University for a lecture series in 1930. In 1934, they visited Brazil and Argentina. Meanwhile, the political scene in Italy was changing drastically, Hitler and the Nazis in Germany and Mussolini and the Fascisits in Itlay had become all powerful. The anti-Jewish slogans on the wall disturbed Fermi because his wife was a Jew. In December 1938, Fermi was invited to Sweden for receiving the Nobel Prize in Physics. He took permission for himself, wife, two children and their governess to visit Sweden. Sensing the tricky political situation in Italy, he decided to go directly to New York instead of Italy. He had already secured a post at Columbia University. Thus, he continued his work in America. Meanwhile, in 1938, three German scientists repeated some of Fermi’s early experiments, after bombarding uranium with slow neutrons. Otto Hahn, Lise Meitner, and Fritz Strassmann made a careful chemical analysis of the products formed. On January 6, 1939, they reported that the uranium atom had been split into several parts. Meitner, a theoretical physicist, secretly slipped out of Germany to Stockholm, where, together with her nephew, Otto Frisch, she explained this new phenomenon as a splitting of the nucleus of the uranium atom into barium, krypton and smaller amounts of other disintegration products. Meitner realized that this nuclear fission was accompanied by the release of stupendous amount of energy by the conversion of some of the mass of uranium into energy in accordance with Einstein’s mass-energy equation, that energy (E) is equal to the product of mass (m) times the speed of light squared (c2), commonly written E=mc2. Fermi, learnt of this development soon after arriving in New York and realizing its far reaching implications, rushed to greet Niels Bohr on his arrival in New York City. The Hahn-Meitner-Strassmann experiment was repeated at Columbia University, where, after a lot of thinking, Bohr suggested the possibility of a nuclear chain reaction. It was agreed that the uranium-235 isotope, differing in atomic weight from other isotopes of uranium, would be the most effective isotope for such a chain reaction. Fermi and other eminent scientists like Leo Szilard and Eugene Wegner felt that world peace would be endangered if Hitler’s German scientists use the principle of the nuclear chain reaction to produce the atom bomb. They drafted a letter, which was signed by Einstein. On October 11, 1939, the letter was delivered to the then American President Franklin D Roosevelt Promptly acted on their warning and sanctioned the famous ‘Manhattan Project’ in 1942 to produce the first atom bomb. Fermi was assigned the task of producing a controlled, self-sustaining nuclear chain reaction. If we burn a piece of paper, it catches fire at one corner, then the sides and ultimately the entire area. The chain reaction is similar to this process. He designed the necessary apparatus, which consisted of graphite and heaps of uranium and uranium oxide. He used approximately six tons of metal in it. He also inserted cadmium strips into it to control the speed of the process. It was named atomic pile by Fermi. On December 2, 1942, Fermi led the team of scientists who, in a laboratory established in the squash court in the basement of stag field at the University of Chicago, achieved the first self-sustaining chain reaction. Let us see the chain reaction from close quarters. A neutron collides with the uranium nucleus and with a blast it divides it into two parts, creating energy. At this time two or three neurons are ejected and a large amount of energy is released. The new neutrons then go on to repeat the same process with other nuclei takes place producing immense energy. The testing of the first nuclear device, at Alamogordo Air Base in New Mexico on July 16, 1945, was followed by the dropping of atomic bombs on Hiroshima and Nagasaki on August 6 and 9, 1945, respectively. At the Metallurgical Laboratory of the University of Chicago, Fermi continued his studies of the basic properties of nuclear particles, with particular emphasis on mesons, which are the quantized form of the force that holds the constituents of the nucleus together. He worked as a consultant in the construction of the synchrocyclotron, a large particle accelerator at the University of Chicago. In 1950, he was elected a foreign member of the Royal Society of London. Fermi made highly original contributions to theoretical physics, particularly to the mathematics of subatomic particles. Moreover, his experimental work in neutron – induced radioactivity led to the first successful demonstration of nuclear fission, the basic principle of both nuclear power and the atomic bomb. The atomic pile in 1942 at the University of Chicago released for the first time a controlled flow of energy from a source other than the Sun; it was the forerunner of the modern nuclear matter for peaceful purpose. Fermi’s name has been commemorated in physics in various ways. Element 100, fermium and the unit of length 10 -15 meters the Fermi, were named after him, as was the National Accelerator Laboratory, Fermilab, at Batavia, near Chicago. It is a general belief in the world of scientists that two masterminds worked towards the attainment of this dream project-Albert Einstein and Enrico Fermi. The American Atomic Energy Commission awarded Fermi $ 25000 in November 1954, for his contribution in the development of an atom bomb. He died of cancer just 12 days later. Today, scientists are working to use radiation to cure the disease that killed Enrico Fermi.